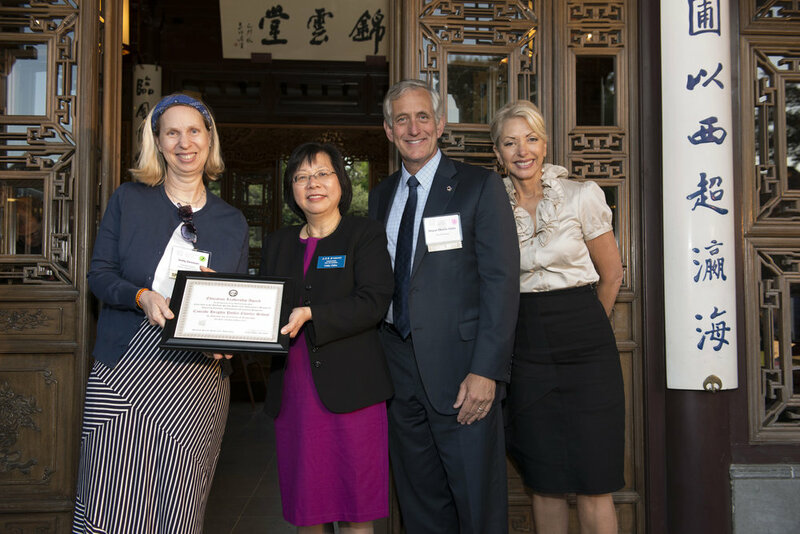 You are cordially invited to join us for a very special evening as we celebrate 30 years of history in the founding of the Portland-Suzhou Sister City Relationship and the development of its friendship project, the Lan Su Chinese Garden.We will pay tribute to the original founding group, many gathered in Portland this past summer to mark this very special milestone.Below are two pictures from their gathering in the Lan Su Chinese Garden with representatives from our association and the Lan Su Chinese Garden. We are very honored to have as our keynote speaker, Mr. Patrick LaCrosse, one of the very few people that was involved from the beginning with this long and beautiful history 30 years ago.The title of Pat’s talk is “Suzhou, 1985.A Chance Encounter.”Pat is the former Director of the Portland Development Commission and first Director of the Lan Su Chinese Garden. 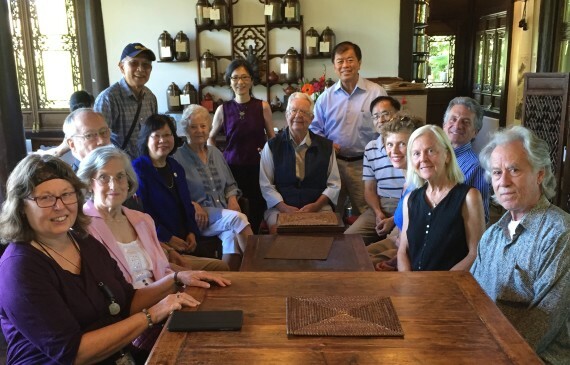 Pat was a member of the first Portland group to travel to Suzhou in 1985 that began the Portland Suzhou Sister City Relationship, was active for many years with PSU--Suzhou student relations, and was asked by Mayor Katz to take over the management of the Lan Su Chinese Garden 6 months prior to its grand opening in 2001. Using anecdotes, he will describe in detail some of the more colorful experiences. Please join us to help celebrate these very special achievements.We look forward to greeting new and old friends, to thank our sponsors and supporters and to hold a short annual business meeting. 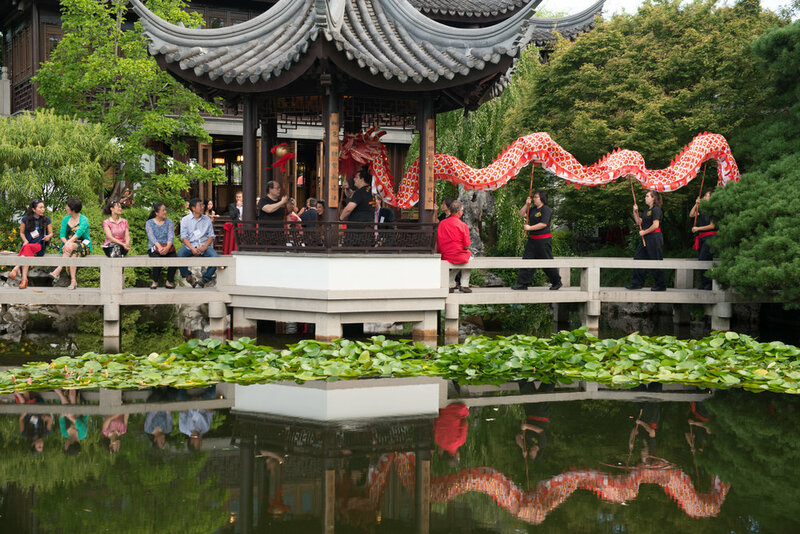 To celebrate the 15th Anniversary of Lan Su Chinese Garden, a friendship project between Portland and Suzhou. 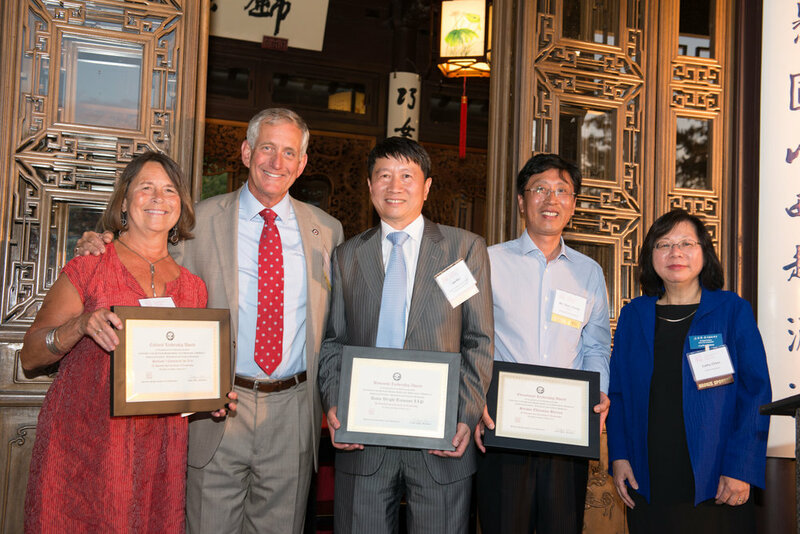 There were numerous highlights for the evening including, but not limited to, the keynote remarks by Consul General Luo; the gift presentation to City of Suzhou by Mayor Hales; the group toast and the group pictures to mark this special occasion; and the presentations of the 2015 Leadership Awards and the Newcombe Wang Memorial Scholarship. We were very much honored by the presence of the many VIP guests including Consul General of PRC Luo Linquan, Portland Mayor Charlie Hales and Mrs. Nancy Hales, Former Mayor Bud Clark, Senate President Pro Tempore Ginny Burdick, Rep. Brian Clem, Rep. Paul Evans, Rep. Jennifer Williamson, Governor's Senior Policy Director Vice Porter, Portland Director of Government Relations Martha Pellegrino, Portland Director of International Relations Hector Miramontes, Travel Portland's Billie Moser and Jeff Hammerly, Portland Development Commission Representatives, our honored sponsors and the many other VIP guests in attendance. Last but not least are our partners from Lan Su Chinese Garden for this celebration - Executive Director Jane DeMarco and Board President Kathy MacNaughton. (1) Business Leadership Award: Great Cheer (America), Inc.
We would also like to congratulate our 2015 Newcombe Wang Memorial Scholarship Award winner: Ms. Kelly Huang. Our most sincere appreciations to our sponsors, board directors, members and volunteers to make this all possible. A very big THANK YOU to everyone.